There are no photos with those IDs or post 13275 does not have any attached images! The XVI Days dedicated to the Sierra del Sueve extend until the next Saturday October 26. They are a classic of the autumnal calendar and reach their sixteenth edition this year. Promoted by the cultural area of ​​the Colunga City Council, the days are a monographic space of reflection and knowledge around the sierra that the council shares with those of Caravia, Piloña and Parres. La Photo exhibition of the photo contest "Josefina Pis" will be housed in the House of Culture colunguesa until the day 11 to spend later, between the days 11 and 19, go to the Interpretation Center of the Sierra del Sueve. This year, in addition to the first prize awarded by an official jury and consisting of 150 euros in cash, there will be another prize of 100 euros granted by a popular jury. 10: 00 - 14: 00 and 16: 00 - 20: 00 hours: Opening of the Interpretation Center of the Sierra del Sueve. 10: 00 hours: Opening of the votes of the attending public to the exhibition of the works participating in the XVI photography contest "Josefina Pis", located from that day, in the multipurpose room of the Interpretation Center of the Sierra del Sueve . (Weekends until the October 19). 17: 00 hours: Presentation of the Jornadas del Sueve 2013. 17: 15 hours: Guided tour of the Interpretation Center of the Sierra del Sueve (free entry). 18: 30 hours: Conference on the geological formation of the Sueve by José Carlos García Ramos (Director of the Jurassic Museum of Asturias). Interpreted route: Mirador del Fitu - Pico Pienzu - Hayedo de la Biescona. Cost: 8,00 € person (includes insurance, guides, costumes and transportation from the end of the route). Discover the geological formation of the Sueve, by the hand of an expert like José Carlos García Ramos, director of the Jurassic Museum of Asturias (MUJA), from the youngest areas to the oldest geologically speaking and the different types of rocks that make up the Sierra of the Sueve. Departure: 10: 00 hours (Interpretation Center of the Sierra del Sueve). Previous reservation for guided route until Saturday 12 day of October at 20: 00 hours. 10: 00 - 14: 00 and 16: 00 - 20: 00 hours: Opening of the Interpretation Center of the Sierra del Sueve. Open doors day: free entry. 18: 30 hours: Conference on the archeology of Sueve and its surroundings by Vicente Rodríguez Otero (Archaeologist). Next: Award ceremony of the XVI photography competition "Josefina Pis". 10: 00 - 15: 00 hours: Opening of the Interpretation Center of the Sierra del Sueve. Open Doors Day: free entry. 11: 30 hours: Route interpreted to Pico Castru. Cost: 5,00 € (includes insurance, guides and costumes). 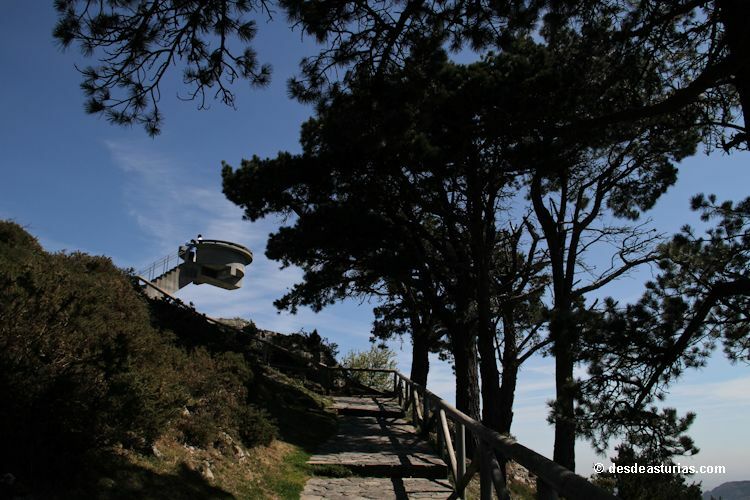 Discover the ruins of Castro de Caravia, located on Castro Peak, at 355 mnm. It dates from the 4th century BC C. and discovered by Aurelio del Llano, we are presented with the possibility to appreciate how was the life of the Celts and what were their customs. Previous reservation for guided route until Saturday 19 day of October at 20: 00 hours. Observation of the Ronca de los gamos: Majada de Espineres. Cost: 10,00 € adults, 6,50 € under 11 years (includes insurance, costumes and guides). Check Out: 08: 00 hours. Arrival Time: 12: 30 hours. Observe the shout of zeal of the male fallow called ronca by its tonality. It is guaranteed in an 90% ver gamos, but you can not give such a guarantee that in the places where they are seen they are snoring at that moment. However you can enjoy the predominant fauna in the area, the views of the coasts of Gijón (city and coast), Villaviciosa and Colunga and the internal relives of Oviedo, Siero, Noreña, Nava, Piloña, Cabranes, Natural Park of Put and Amieva and the National Parks of the Picos de Europa and Networks. 10: 00 - 14: 00 and 16: 00 - 18: 00 hours: Opening of the Interpretation Center of the Sierra del Sueve. Previous reservation for guided route until Friday 25 day of October at 20: 00 hours. Accommodation with breakfast + activity + food: 60 € / person. Accommodation with breakfast + Activity: 45 € / person. Food + Activity: 25 € / person.